The alpha preview of Android 8.0 has showcased the presence of a dedicated ‘Autofill’ application in the build. This app would take the autofilling functionality of Android devices to an altogether higher level. Instead of depending on password managers to avoid repetitive work (i.e., entering the login credentials each time an app has to be used), users will be able to store all details – right from usernames and passwords, to even addresses – in the ‘Autofill’ app. There will be a new ‘Autofill API’ as well, to implement this feature for the apps that require it. Android 7.0 Nougat already brought split-screen multitasking to the table, and the latest OS update builds on that – with an all-new Picture-in-Picture (PiP) functionality. Two tasks – say, voice calling and media player app – can be used simultaneously with PiP, and end-users have the option of adjusting the aspect ratio of videos as well. Media controls are built-in, while applications can be put in the PiP mode in the active (playing) or ‘resumed’ state. Picture-in-Picture will be available on both phones and tablets. Note: Android O will also have a robust multi-display window to support remote displays. Unless you are a Google Nexus or Pixel phone user, you are not likely to get a ‘plain vanilla’ Android experience. Most original equipment manufacturers (OEMs) do their own bit of customization on the platform – resulting in a lack of uniformity in the OS. The Android 8.0 update looks to tackle this issue effectively, by supporting app icons that are more adaptive, and are not significantly affected by the platform customizations done by the OEMs. General users as well as professional Android app developers expect that this would make the overall visual features of the OS more cohesive across handsets. Google, with the upcoming version of Android, will provide more personalization options to users, for handling all notifications. The Notifications Channels – which, in essence, are a category-wise distribution of notifications – makes this easier than ever. When a notification is slightly swiped to the side, a clock icon appears (apart from the Notifications toggle icon). Tapping the clock sends the concerned notification to a 15-minute snooze. The snooze period can be expanded to 30/60 minutes through the drop-down menu. In addition, all notifications from a particular Android app can be disabled by doing a long press on a notification (which pulls up the Notifications toggle). Note: Compared to Android Nougat, the Notifications Shade in Android 8.0 occupies a little more screen space (there are 6 toggles present on top). For the date/time display, a new, more condensed font has been used. 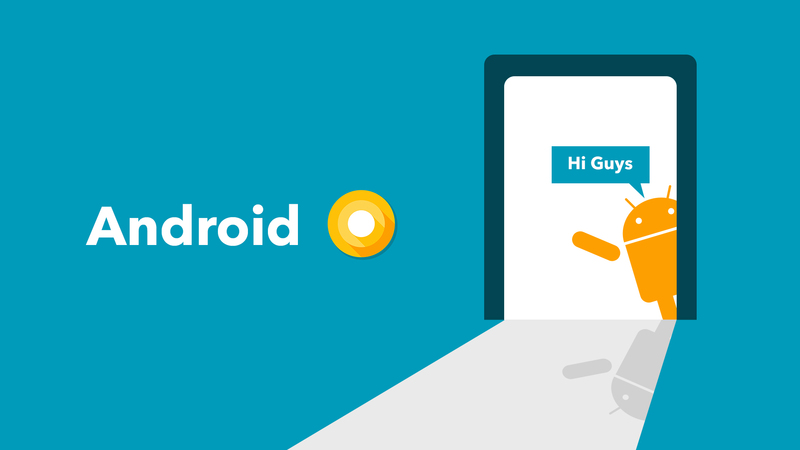 Wifi Aware and support for Bluetooth HQ audio codecs are the two biggest new features of Android O on the connectivity front. The former does away with the need for specific internet access points every time apps or nearby devices have to interact, and establishes this communication via wifi and supported hardware. The Bluetooth codecs, on the other hand, will enhance the audio fidelity levels of devices upgraded to the latest Android platform. Staying with the audio-related improvements in Android O, this is a new API (native API for Android) that allows applications to deliver audio performances with minimal latency and smoother streaming options. The API works through streams, and is expected by developers to be extremely useful for creating Pro-level audios. All apps that require high-quality audio with very low latency can collaborate with the AAudio API. Every Android update promises improved battery performance, and the new version comes in with an all-new feature – background limits – to ensure this. There will be clearly specified limits on the background services, the location tracking (GPS) resources and the implicit broadcasts from an app in Android O. These limits, in turn, will ensure that there are no excessive battery drainages due to a particular app. Those who make Android apps will have to keep these limits under consideration while defining the functions of new mobile software. In the first Android O developer preview (released on March 21), both the hamburger menu icon as well as the navigation drawer were not present in Settings. A new color theme (black and white for the Pixel/Nexus phones) has been introduced – although the AOSP settings are likely to undergo further changes prior to final release. Pixel-users are going to get two alternative options under ‘Device Theme’ (Pixel and Inverted). In general, Google has done a good job by overhauling the existing Settings menu and bringing in more descriptive categories here (no more blanket categories like ‘Personal’, ‘Wireless & Network’, ‘System’, etc.). A new battery and storage info section will also be present. Note: Night Mode and Dark Mode have been in the radar for Android devices for long, without being able to make their way into the final versions of Android 6.0/7.0. Android O will introduce a Night Light feature (in the Display settings) in Pixel phones. The new generation of Android phones will have wide-gamut colour array support – and on these Android O-powered devices, third-party developers can easily customize their imaging applications. Within the app manifest, a flag has to be enabled (each activity needs one) – to show the the entire colour gamut in the application. Practically all popular color profiles, including Pro Photo RGB, AdobeRGB and DCI-P3, will be supported. For the wide-colour gamut display, apps will also have to load bitmaps efficiently. In the upcoming Android 8.0 platform, the webview is all set to become more stable and offer greater security. All types of online content present inside WebView will be multi-processed by applications – to keep things glitch-free and fast, while cutting down on the chances of crashes. What’s more, there is a new API in Android O as well, for handling every form of crashes and errors in WebView. This is yet another interesting feature for Android app makers. On the upcoming Android platform, each app icon will have a badge/bubble – which will show the number of unread notifications from it. These app badges can be adjusted from the notification settings of the individual applications, ensuring that users retain the final control. Of course, for incorporating other personal preferences, users can always tweak around in the System UI Tuner (Settings → System → System UI Tuner in Android O). Two new predictable models have been built by Google in Android O – both for refining the keyboard navigations. The models are named ‘tab’ and ‘arrow’, and they will offer advanced predictable navigation experiences across interfaces. Since all applications present in the Google Play Store can now be accessed by Chromebooks, there is also a chance of physical keyboards rising in importance (with the same predictable standards). Note: Project Andromeda, Google’s ambitious drive to merge Android with Chrome OS, is in the offing for long now. While the alpha preview of Android 8.0 has nothing related to it, there can be changes in later builds. Once again, an upgrade on an existing feature instead of being something absolutely new. The previous versions of Android already made it necessary for users to enable ‘Unknown Sources’ from the security settings – whenever they wanted to download apps from any source other than Google Play. Android O has made this activity even more safe – by requiring people to grant permissions for downloading the APK of an application (that has to be downloaded from another source). For each app, this permission has to be given only once, and it can be revoked in future as well. In the latest edition of the Android OS, XML layouts can be used to configure the weight and the style of fonts. As a result, app developers will have greater control over the fonts that they opt to use in their new mobile applications. All that they have to do is bundle the font(s) to be used in an app – and the fonts will be configurable with XML, and be usable anywhere in the application. In addition to being adaptive, the app icons in the new Android iteration would support custom animations and operability from Settings and launcher. The runtime is reported to be almost 2X faster than that of Android Nougat, and support has been extended to multiple new Java 8 Language APIs. There are more options present in the Lock Screen, while the Ambient Display has been changed as well. A total of 4 developer previews of Android O will be released by Google (in March, May, June and July), leading up to the final release of the platform in 2017 Q3. The update will be available on Pixel C and other Pixel and Nexus handsets (Nexus Player, Nexus 5X, Nexus 6P). More information about Android O should become available at this year’s Google I/O – and it remains to be seen how many of the features showcased in the alpha developer preview actually makes it on the final version. But first things first – which tasty dessert will Android O be named after? Traffic lights, monitored from control rooms, are critical for ensuring a smooth, safe flow of traffic round the clock. Strategically placed devices with LoRa sensors can detect lights that are not functioning correctly and/or have blown fuses. In addition, a LoRaWAN tool can also send real-time notifications to municipal authorities – as and when changes/repairs in a traffic light stand are required. With properly implemented LoRa IoT support, traffic in smart cities will be expertly managed on a 24×7 basis, with minimal chances of congestions or accidents. The much-hyped Apple Car won’t make an appearance any time before 2019 – but LoRa technology will steadily pave the way for driverless cars in smart cities over the next half a decade or so. These ‘autonomous vehicles’ will be able to commute on their own, picking up rides and completing deliveries. The sensors would also help in the integration of robust anti-theft features in these self-driving smart cars. The vehicles can also double up as shuttle cabs for daily commuters. Everything will be remotely manageable by the car owners. From the USA and the UK, to India, Nepal and Bangladesh – every country is likely to witness worrying declines in their overall per capita water availability levels. The steady increase in human footprint over the ecology is the direct reason for this, and recent researches have found that – in many cities, 10%-15% of the total water reserves is lost due to faulty, outdated infrastructure. Sensors/devices with the long-range LoRa chips can tackle this problem, by detecting leakages and overflows, and notifying the authorities about the necessary repairs. Management of such smart water meters and leak detectors typically require low levels of data transmission over long distances – making LoRa the ideal IoT technology for building them. In a bid to cut down on energy wastages, greenhouse gas emissions and, of course, expenses – the authorities are placing LED bulbs in streetlights. LoRa technology can be utilized for the management of these smart public lighting networks. The lights will be regularly checked, and whenever a bulb change is required, the authorities are going to be informed about the same. In addition, smart lights powered by LPWAN can enhance safety considerations as well – by relaying information/scenes of road accidents/roadblocks to nearby locations. To cover an entire city, only a few transceivers and base stations will be required. In a truly smart city, drones can be put to multifarious uses. Armed with LoRa chips, these drones can capture high-definition aerial photographs, help in precision farming, bolster the law enforcement systems, and even help in fire protection. According to experts from the field of IoT software development, drones can be used to deliver packages as well (this is likely to be a thing in the foreseeable future). By 2025, several cities will have drones functioning for public utility as well as commercial purposes. The number of on-road vehicles in posh city areas is increasing all the time – and public parking areas cannot possibly keep up pace with this growth. It has been found that over 40% of total traffic congestions in cities are caused by drivers looking for safe, convenient parking spaces. High-range, low-power sensors can go a long way in tackling this issue – by ensuring optimal utilization of municipal parking lots and areas. App developers can also come up with new-age mobile applications that notify users about available parking spot(s) nearby. Contrary to doomsday critics, technical advancements in cities need not come at the expense of rapidly rising environmental pollution. LoRa tools can play its part in maintaining the ecological balance – with smartly placed sensors informing the concerned officials about the pollution metrics in the locality. In the vicinity of power plants and heavy industries, these devices can track the overall consumption/wastage of environmental energy as well. With proper implementation of IoT, a city can be smarter, cleaner AND greener! Using resources to clean up a half-filled waste bin is unnecessary – particularly so when other bins in the city might be overflowing. When it comes to proper waste management, most cities do not have a detailed, digitized structure – and Semtech’s LoRa can help out in this regard. Smart ‘fill-level sensors’ can be fitted in public waste bins – which would detect when the bins are full and need to be emptied. What’s more, these sensors can also collect data on the type of waste being disposed off by the public. City authorities across the world are struggling to preserve the age-old historical monuments and artifacts. Instances of bridge collapses and building damages are not uncommon either. It is also important to constantly track the quality and status of ongoing constructions – to avoid potential hazards in future. Specialized smart devices with LoRa chipsets can offer predictive maintenance solutions, by monitoring vibrations and other key parameters of buildings/bridges/monuments. As and when a damage is detected, the city authorities will be informed about the same. That, in turn, would ensure that disasters are always kept at an arm’s length. Note: For integration of smoke alarm systems of buildings, remote opening/closing of doors and windows, and managing the temperature, LoRa technology can be extensively used. LoRa-powered sensors can be a handy addition in smart inventory systems (i.e., in the freight trucks and the ports between which they carry the inventory). The sensors would relay regular, updated information on the location of the freight vehicles and the status of the inventories. What’s more, these high-range sensors can also notify the operators as and when running repairs and other maintenance work have to be done on the freight vehicles. City officials, at any time, might need to know about the communication that takes place between the public law enforcers (traffic police, coast guards, etc) and the general public. Unfortunately, these records are often not available. There is an opportunity to resolve this problem, by designing smart body cameras (with LoRa sensor chips) and fitting them on to the uniforms of the concerned duty officers. These cameras will provide clear, impartial evidence about all conversations with the public that take place during a day. There are certain locations in any city – like areas with dense vegetation, parks, amusement zones, etc – that are more prone to fire hazards. Placing fire alarms and sensors powered by LoRa technology in such areas makes a lot of sense, from the safety perspective. In case of any emergency, notifications can be swiftly sent to the local fire departments – to provide relief and limit the extent of damages. Alarms can also be triggered by smokes emanating from buildings nearby. For it to be of practical value, the IoT ecosystems in smart cities have to be closely-knit. The popularity of wearable devices is at an all-time high – with smartwatches, predictably, leading the way. In the US, around 49% people interact with their wearable(s) at least once everyday. In future, smart wearables can come with built-in LoRa detectors and communicators, making it easy for individuals to take an active part in the smart environment and activities/interactions around themselves. The concept of a smart city involves all its residents – and LoRa with wearable technology can be a key driver in that domain. Advanced, smart cities need to take full advantage of renewable, alternative sources of energy (considering that the global coal reserves have started going down at an alarming rate). Solar energy, of course, is one of the best alternative energy sources – and solar panels are set up to tap and utilize this power. LoRa can come into use over here as well – for detecting whether the solar panels are working optimally and if there has been any breakdowns. Apart from maintenance, the sensors can also make real-time transmissions of the energy captured by the solar panel units. LoRa technology has the potential to give the regulatory authorities a 360-degree overview of cities. Experts advocate the use of high-end surveillance cameras with smart, high-range sensors – to track all possible cases of law violation, unauthorized access into restricted areas, personal safety and protection of belongings. Surveillance cameras with LoRa will, in particular, be extremely useful for ‘virtually manning’ remote places. To qualify as a ‘smart city’, a place has to be habitable, be high on the sustainability front, and have timely, dependable digital solutions to support all major public activities and utilities. LPWAN tools in general, and the LoRa technology in particular, have enormous opportunities for implementation in such ‘connected ecosystems’ – thanks to their excellent coverage (10-15 kms) and battery performance (~10 years). In the US, several cities – like Philadelphia, San Francisco, Chicago and Charlotte – are already on the IoT bandwagon for public services, Taiwan picked LoRa as its IoT network last August, and the LoRa protocols are functional in multiple Indian cities. The world is becoming increasingly ‘connected’ – and LoRa is right at the forefront of this revolution! Powered by a powerful SX1301 mini-PCIe board (single computer board), this multi-featured gateway has a spacious 2GB RAM space for fast functionality and a gigabit ethernet setup. The built-in SSD disk and the advanced processor (800 MHz) bolster the performance of the LL-BST-8. The gateway also offers top-notch reliability – thanks to its AMD x64 architecture. It is mostly user-friendly, and facilitates quick and responsive M2M learning. To set up this popular LoRa gateway, a customized Semtech SX1301 concentrator board is attached to a series of single-board computers (a Raspberry Pi series). GPS/Geolocation is supported with the help of external accessories on this gateway, which can be used on three different frequency levels (433MHz, 868MHz and 902-908MHz). Ethernet is natively in-built within the gateway, while 3G and wifi connectivity can be added with plugins. The gateway BUS includes both SPI (Stateful Packet Inspection) and USB. This one operates as a powerful industrial router with a host of configuration options (including outdoor configuration and support for wifi and 3G cellular networks). A pre-tested daughterboard, working on the LoRaWAN protocol, is attached to the Cisco IR 910 – and this gateway also has multi-frequency compatibility. At a price tag upwards of $1500, this one is among the most expensive LoRa gateways out there – but the router does come with an excellent range of features and high-performance assurance. The SPI-BUS Kerlink LoRa router supports both ethernet and 3G connections and has a convenient outdoor configuration option. Two variants (27dBm and lower) are supported on this gateway. It also has native support for GPS-related services. The IoT station ranks high on the reliability count, and can be used for establishing practically all types of LoRa-based IoT connections. A Multitech LoRa mCard is used with the OpenWrt hardware to create this gateway. A separate radio adapter is required on the platform, on which ethernet connectivity is available (with options of 3G and Wifi being added through external accessories). All OpenWrt tools working with the Atheros MCU are supported on the gateway – which, interestingly, cannot be used on the 433MHz frequency band (868MHz and 902-908MHz are supported). The BUS type for this gateway is USB, and there is a customized platform for the European and the North American versions of the LoRa mCard. This one is also based on the Raspberry Pi framework of single-board computers and offers maximum utilities as a personalized M2M base station. The gateway requires low levels of maintenance and investment – delivering great value to users setting up a LPWAN network with LoRa. The Toti-LoRa-pico tool has complete compatibility with the Raspberry Pi software system and is – under most circumstances – fast and dependable. This gateway has been designed by CALAO Systems. The Lorrier LR2 is an optimized LoRa concentrator working with SPI BUS architecture. Outdoor configuration is supported, and the gateway works only on the 868MHz frequency band. The features of this gateway can be extended to include GPS, with the help of third-party accessories. No additional expenses for radio are required on this concentrator tool – and establishing new connections with the LR2 is relatively straightforward. A single box in this high-end indoor LoRa gateway houses a couple of concentrator cards (SX1301). Outdoor setup is available through external plugins. 3G connectivity is available as a configuration option and wifi can be added on to the hardware – which, obviously, comes with powerful built-in ethernet (at $449, the 3G-enabled version of Multitech Conduit is slightly pricier than the only ethernet-enabled version). The gateway ensures smooth communication via data packets on 868MHz and 902-908MHz bands. Just like the Raspberry Pi gateway with Semtech sx1301 design board, this one also supports both USB and SPI BUS modules. The hardware gains additional juice from the external LoRa concentrator – the IMST iC880A – attached to it. Depending on the function requirements, GPS feature can be added to this gateway as well. The single-board computer based gateway is operable on the 868MHz frequency spectrum. Unlike the Raspberry Pi variant, this gateway works only with USB BUS…but most of the other features are comparable. Only ethernet is embedded within the hardware, while wifi and cellular data connectivity can be added on later. The price of this OpenWrt LoRa gateway is 199 Euros (the same as the USB-version of the Raspberry Pi gateway discussed in the previous point). With accessories, geolocation can be included in this gateway too. A powerful LoRa concentrator tool, with top-notch ethernet capabilities. The LORANK 8 tool is priced at 412 Euros, and can be used in the 868MHz frequency band. Outdoor configuration is possible and the gateway is created to work with the SPI BUS architecture. ExpEmb is another fairly low-investment LoRa connection gateway, with SPI BUS and outdoor configuration option. 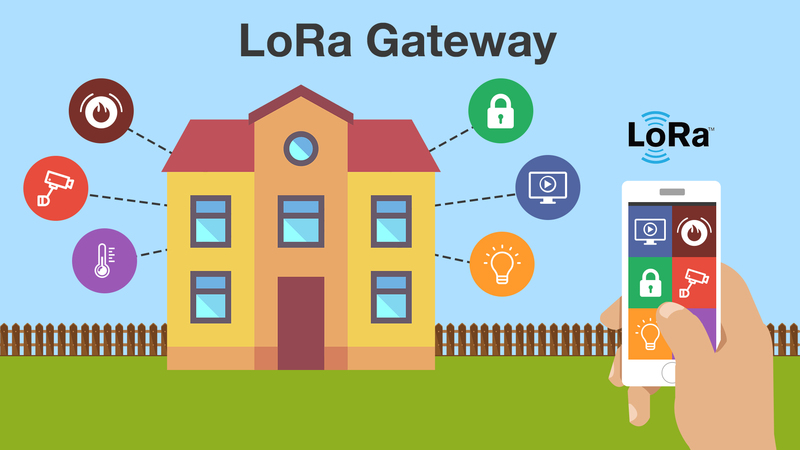 Using a reliable, high-quality, customizable and responsive gateway is critical to the overall efficacy of a LoRa network – and all the hardware tools listed here promise optimal performance in that regard. Although it is still at a relatively nascent stage, LoRa Wide Area Networks (LoRaWAN) has already found widespread acceptance among telecom companies and smart service providers across the globe. LoRaWAN networks are currently in operation in 50+ countries – with the number going up every quarter. The latest in this line is Australia, where LoRa was officially chosen as the country’s very first IoT network (in late-January). Over the next five years or so, more countries – including the not-so-advanced nations – will switch over to the LoRa technology, thanks to its manifold advantages. By 2020, it has been estimated that close to 1.6 billion smart devices will be powered by the LPWAN technology. The nature of these devices will be varied, including transceivers, actuators, wireless sensors, trackers, and other advanced tools that would be useful in smart cities in particular, and an overall smart environment in general. 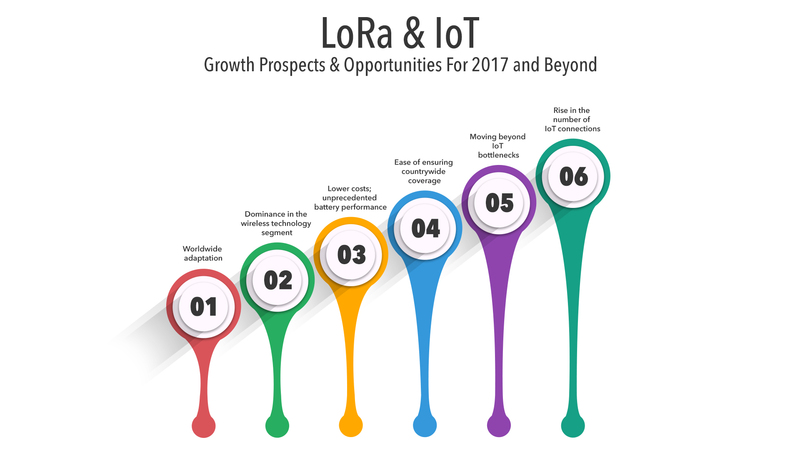 This, in turn, opens up significant growth prospects for LoRa (along with other technologies like Sigfox, and 3GPP solutions like NB-IoT). Close to 150 new IoT metering/tracking equipments for smart cities will be set up with the LoRa devices. It can be safely said that, without the arrival of LoRaWAN, this progress would not have been possible. 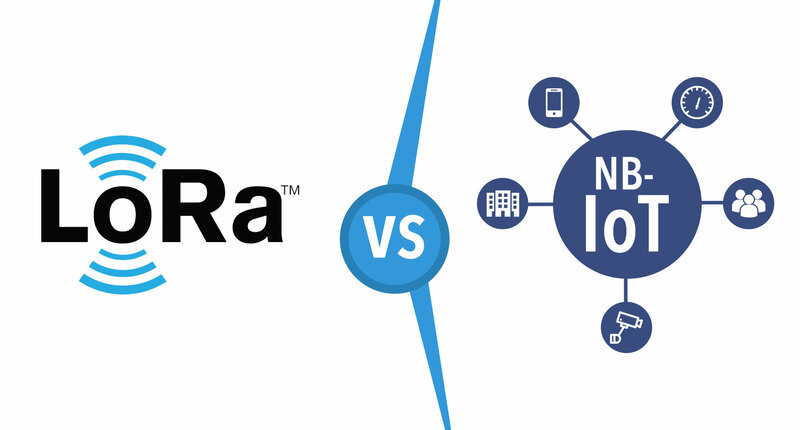 These two factors should emerge as the main drivers of the LoRa technology in a big way. Built with the ‘chirp-based spectrum’ designed by Semtech, LoRa offers seamless bidirectional communication (with most of its rivals offering only the regular unidirectional support). Since only unlicensed, low-frequency bands are used, the coverage remains excellent – while the costs are minimal. What’s more, devices with LoRa chipsets typically offer 8-10 years of battery life, with the power requirements being very low (say, weather tracking a couple of times in a day). Note: The actual frequencies used by LoRa varies across regions. In North America, the protocol uses 915 MHz for operations, Europe goes with 868 MHz, while the technology uses a very low 433 MHz frequency band in Asia. At the end of last year, the worldwide market value of the LPWAN industry (LoRa, Sigfox and LTE-NB1) stood at just a tick over $1 billion. This figure will jump to a whopping $24.5 billion by December 2021 – at a compounded annual growth rate (CAGR) of more than 89%. Experts from the software development and IoT domains expect that the total count of LPWAN-powered IoT tools will exceed 700 million by that time (as reported by Business Intelligence (BI)). In comparison, the growth in short-range technologies like Zigbee and wifi will be modest – and will reach 72% by 2025, less than 2% increase over their current penetration rate. Consumer electronics, where LPWAN finds least usage, will remain the main driver of short-range technologies. Around 250 LoRa base stations are enough to cover the entire country of Switzerland. For Netherlands, approximately 500 such base stations are required. The LoRa technology – announced at 2015’s Mobile World Congress – has come a long way since the release of its first version (v.1.0) in June 2015 (network tests have been conducted in 60+ countries). As the requirement for setting up base stations/units is on the lower side, the cost for telecom companies (for deploying LoRa in smart cities) remains manageable. What’s more, LoRaWAN can be integrated in both private (with 100+ sensors) as well as public networks – delivering hybrid capabilities. Earlier this month, Wipro became the newest member of the LoRa alliance. From the time of its start back in 2015 (with 20 members, including Semtech, Cisco, IBM, etc. ), the size of the alliance has grown at a rapid clip – and at present, it has over 400 members. The companies in the LoRa alliance are classified under different categories – ‘Sponsor Members’, ‘Institutional Members’, ‘Adopter Members’ and ‘Contributor Members’. The alliance operates as a non-profit organization, and is in charge of driving the LoRaWAN technology into newer markets and for innovative IoT-related practices. Within the next couple of years or so, several more companies (including major national telecom players) will join the LoRa alliance – swelling its size further. Cisco predicts that there will be 50 billion connected devices by the end of 2020 (nearly double of the 28.4 billion figure estimated for 2017). While there are no doubts over the rapid proliferation of the ‘Internet of Things’, there are a few limitations – encryption standards, network capacities, device/battery capabilities, etc. – that do appear as potential inhibitors. However, as LoRa technology grows in popularity and becomes more polished, these problems will recede to the background. Both network performance and battery capabilities are boosted by the LoRaWAN protocol – thanks to the adaptive data rate algorithm of the latter. Data can be broadcasted with the help of the bidirectional functionality of LoRa – and encryption (128 AES encryption) is available at three different levels (application, network, device). A fast, reliable, secure and cheap wireless standard for IoT – that’s what LoRa has the potential to become. Note: Yet another high point of LoRaWAN is the high number of nodes (running into millions) that can be supported by each gateway. Building up a LoRa infrastructure from scratch is inexpensive and can be done quickly – and impressive distances can be covered by individual signals. With a range of close to 10 kilometers in urban areas (shooting up to well over 30 kilometers in suburban/rural locations) – there is clear daylight between the coverage capacities of LoRa and other cellular networks. The technology is built in a ‘star-on-star topology’ (instead of the traditional mesh infrastructure) – and offers around 10 times more utility over its lifetime as well. The cost advantages of LoRa are also remarkable: in a recent study, it was found that cellular networks for machine-to-machine (M2M) operations have an annual price of $25-$30. The corresponding figure for the unlicensed LoRaWAN frequency bands, on the other hand, hover around the $10 mark (also lower than the $15-$20/year cost for NB-IoT). Not surprisingly, this has put LoRa at a significant competitive advantage – and helped it capture a much higher market share. LoRa is not the best fit for consumer-IoT, where wifi, cellular data, and to a lesser extent, Bluetooth, will remain the most-used technologies. However, for managing mass operations and tasks for creating smart cities – Semtech’s platform is among the most ideal alternatives. 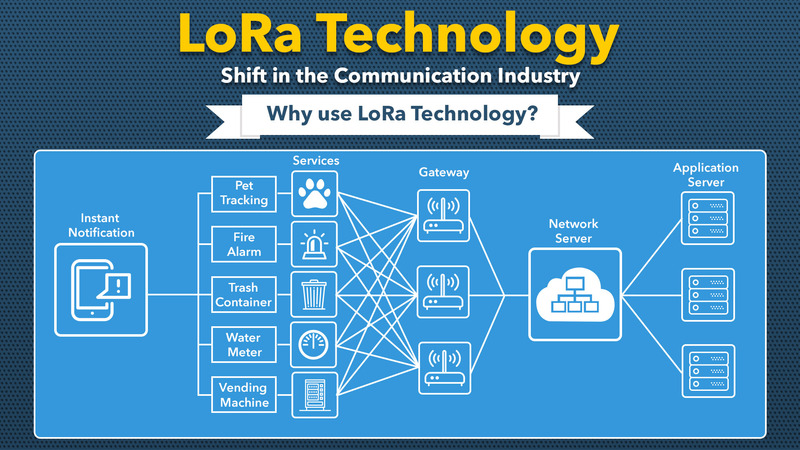 Right from smart parking, management of public utilities, petcare and monitoring smart street lights, to smart waste management/disposal, pollution control and energy-saving, agriculture, health and predictive disaster management (e.g., regular tracking of the condition of a bridge, to detect probable damages) – LoRa finds acceptance in a wide range of activity domains and applications. SK Telecom – a leading South Korean telecom operator – released a commercial LoRaWAN network in July last year, with a view to cover 99% of the national population. In the near future, most things related to smart cities IoT will be running on LPWAN (LoRa and Sigfox) – that’s for sure. The LoRa technology is never going to be good (read: fast) enough for casual web browsing or playing online games…anything that requires a high bandwidth. However, the network does what it is meant to do perfectly well – with the maximum bandwidth 32 kb/s being more than adequate for receiving/transmitting/broadcasting data to and from sensors at prespecified time intervals. To put things in perspective, short-range technologies like Zigbee and wifi are not strong enough (in terms of coverage) for this purpose. Semtech’s LoRa targets a separate, niche segment of the overall IoT market – and it delivers what it promises. We have already highlighted the expected surge in the number of ‘connected devices’ over the next 3-4 years. On a more micro-level, the volume of IoT connections worldwide is also expected to expand at exponential rates. Between 2015 and 2025, there will be a 350% increase in the number of IoT connections (6 billion vs 27 billion). Around 28% of these – coming to 7.5 million – will be high-range, and the rest will be supported by low-range technologies. Industry experts opine that by 2025, 4 out of every 10 long-range IoT connections will be powered by LPWAN, with LoRa leading the way. While the benefits of adopting the LoRa technology for IoT are pretty much evident, there are a fair few challenges that have to be considered too. For starters, there is a dearth of qualified experts with experience in LPWAN IoT platforms. Chalking up the technical specifications of projects can be tricky – since there might remain gaps in understanding how LoRa is to be implemented, and what the objective(s) of the IoT operation would be. The rather high price tags of sensors ($15-25) – integral to LoRa deployment – must not be lost sight of either. With greater awareness, more dedicated training by specialists, and continued support from major telecom players – LoRa is expected to resolve these issues and continue to grow. As per an October 2016 report by ON World, the LPWAN services market will also witness manifold growth in the next half a decade, reaching up to $75 billion by the end of 2025. LoRa networks already have a strong presence in European countries like Netherlands, France and Belgium – and the technology is steadily making its way into the markets of Germany, Czech Republic, Italy and Denmark. In India, Tata Communications will collaborate with HPE to create the largest IoT network in the world. The development and implementations of LoRa technology have already been exciting – and there are plenty of scopes for the technology to grow bigger in future. Considering the rampant rate at which technology is developing and transforming almost every aspect of our lives, whether it is socialising, business, education or learning, it’s safe to say that the best is yet to come when it comes to integrating this technology into the everyday lives of the people. Technology is not just changing industries and corporates but also the world of education. There is substantial growth in usage of modern technology in educational institutions as they continue to invest heavily in this medium to make courses more accessible and enhance learning. There is a vast number of technological innovations related to education which are subsequently improving the online education sector as well as pushing the boundaries of innovations. Technology can have coordinative effect in the way of learning and teaching and the emergence of it can push educators to leverage and understand these technologies to be used in classrooms. While educators have come across several new technological methods of teaching, implementing them in reality has been far off. Educators have been looking for a solid medium that can be permanently implanted into their curriculum so that they can introduce new ways of learning to their students. But several other educators disagree to this new method, claiming that the traditional methods have a broader and stronger effect on the way students learn. Technology always remains at the forefront of the social education. It is pushing the capabilities of learning and the school system to new levels. All this is mainly possible with the implementation of some of the new tools and methods. Let’s take a look at the benefits of implementing technology into education. Technology is said to be future oriented, and nowadays everything is digital. So, education cannot lag behind. It makes learning more fun and exciting to students. Yes, the interactive teaching and learning methods of education technology challenges and engages students with brand new adaptive methods. Technology improves the skills of students. The improvement of technology is said to benefit the student in improving digital learning, communication, collaboration, listening skills, mobile learning, planning, valuing diversity, problem-solving skills, math skills self-evaluation skills, global awareness, social skills and also in presentations. There are several advantages of introducing technology into education namely students with special needs. Children with Dyslexia and several other learning disorders have significantly improved their ability to read after being introduced to a computer remediation programme. Students with a disruptive or violent nature have reportedly shown more engagement and cooperation when they used technology to learn. Engagement leads to learning and learning leads to a better attitude in the future. It is vital that we prepare for the rapidly advancing future as students will require to have specific skills related to technology including the ability to use word processors, spreadsheets, databases, etc. By working advanced technology at this stage, students can be prepared to operate in high-tech workplace and society where technical skills will not be enough. The schools of the future generation may have the traditional units of students. Some of the changes have already taken wings with the exposure of education apps, mobile learning sources or, say, e-learning programs. We are living in a world where mobile devices have become a part of everyday life. This is possibly the best way to promote technology in education by creating educational programmes and online platforms that are accessible on mobiles. This is one of the whole new technologies in the education system. And also the implications of this technology are known to be enormous. The Virtual Reality technique is the implementation of the three-dimensional way of learning in the classrooms. It consists of a device which enables a student to visualize the topics and images in a three-dimensional arena like for example, a visual representation of a perimeter of triangle. The motion and the pressure sensors incorporated within these VR and AR devices make them more relevant for activity-based learning. It is also known as virtual-based learning. Biometric technology is used to recognize the humans based on specific behavioral or the physical traits. In the coming future, this kind of technology can help the intelligent software to understand the emotional and physical state of children while learning in the classroom. The classrooms are going digital these days. The old blackboard way of learning is fading away. This change is due to the implementation of new equipments and tools like interactive whiteboards, educational games, digital projectors, video-based lessons, open courseware and e-learning. This technology allows the students in transferring the digital information into a reality. At a point, the 3D labs are going to be created in the same way as that of the computer labs are like today. The 3D Printing technology will provide students an eye on detail into the digital world – which enhances them to users to build logic modules or the programs. If you thought 4G LTE was fast, the 5G network will be downright amazing. According to reports from trials performed by leading carriers, 5G can be close 100X faster than 4G speeds – with data downloads happening at a staggering 20Gb/s (maximum). The lowest 5G download speed should be around 5Gb/S. What’s more – the latency would also be minimal, coming in at around 1 millisecond or less. Things are about to get more responsive than ever. Experts from the fields of software and app development have confirmed that 5G will contribute in a big way towards the growth of Internet of Things (IoT). Thanks to the extremely low latency, the next-gen network will be ideal for implementation in smart cars (perhaps even in the driverless cars?). 5G will also find rapid adoption in gadgets, platforms and smart hubs for ‘connected homes’. Gartner estimates that there will be close to 21 billion connected devices by 2020 – and 5G is going to be a key driver in this technology. Note: With 5G, there will be rapid increases in the number of connected public utilities, infrastructure and general safety solutions as well. These are going to be important tools for facilitating smooth migration from the 4G to the 5G platforms. NFV, or Network Functions Virtualization, will also ensure high-end scalability of 5G networks. SDN, or Software-defined Networking, on the other hand, will support large bandwidths by creating ‘virtual slices’ or sub-networks. Superior scalability will be an important feature, as demands start to vary between high bandwidth requirements (say, video streaming on mobile) to lower bandwidth needs (say, on a smartwatch). At MWC 2017, Microsoft sent out invites to attendees to try out a new HoloLens headset – which took virtual reality (VR) to an altogether new level. Mobile app developers across the world expect the arrival of 5G to trigger the development of VR and AR (augmented reality) – with end-users getting enhanced, out-of-the-world displays. 3D game development is yet another field that would hugely benefit from the presence of improved VR tools. We can certainly look forward to more immersive app and gaming experiences in future. On an optimally performing 4G LTE device, it takes around ten minutes to download a complete HD movie. For the same task, the required timeframe shrinks to 1-2 seconds (maybe less) on the 5G spectrum. The new OFDM encoding technology of 5G will allow networks to handle much larger volumes of data than ever before (with the help of new frequencies). App downloads, video streaming and media content loading will all be noticeably faster on 5G than on wifi or home broadband networks. Note: There will be networks of ‘small cells’ – resembling wireless routers – for carrying the new 5G frequencies. The network will not depend on mobile towers. We have already pointed out that 5G will support data broadcasting in GBs/second (incidentally, 4G LTE can deliver download speeds of upto 1 GB/s). However, the next-generation mobile network will be a lot more than only faster downloads – with users being provided with superior connectivity, improved display resolutions, high-end interfaces for billing and round-the-clock availability (‘always on’). The connectivity speed can zoom up to as high as 25Mb/second. 5G will revolutionize the digital world, that’s for sure. For all the discussions and early trials, we are still a couple of years from the commercial launch of 5G networks. Even so, software and mobile app experts have started dropping hints about the advanced technologies that will power 5G. For starters, there will be Massive MIMO (multiple input, multiple output) – pulling up the total number of ports in network base stations from 12 (for 4G) to >100 (for 5G) and delivering excellent network efficiencies. The ‘full duplex’ technology will allow transceivers to send out and receive data signals simultaneously – and that too, over the same frequency. Data broadcasting on 5G might take place via ‘Millimeter Waves’, which operate at much higher frequency levels (compared to present-day mobile radio waves). For identifying and using the best data-delivery route maps among alternatives, the ‘Beamforming’ (a traffic-signaling technique) technology would be implemented. Note: The 5G base stations will have ‘Small Cells’, and they will be placed at intervals of 250-300 meters in ‘smart cities’. As per rumors in online mobile forums and app development portals, 5G will pack in a host of powerful, built-in features. SON, or ‘self-organizing networks’, will render the task of radio accessing easier than ever (also, faster!). Throughput rates for users can be significantly enhanced with the ‘carrier aggregation’ feature – which also pushes up the overall capacities of the network. Service operators are also likely to find the ‘coordinated multipoint’ feature to be handy, since it allows transmission and quick processing of signals from multiple site sources. There will be a gamut of other features too in 5G, and most of these will be included in the LTE Advanced Pro platform. The average data download speed on 5G is expected to be around 40-50 times higher than on 4G (as mentioned, the gap is larger when you are downloading media content). This makes sure that downloading and accessing files will be an absolute breeze on the network. Thanks to the higher reliability and top-class speeds, m-payments will be facilitated greatly as well. The average mobile game apps will also become more glitch-free (provided network connectivity is available). In the UK, a massive investment (£700 million) has been made for 5G trials. Implementing and fine-tuning the next-gen mobile network will be an expensive affair – and question marks remain over whether private players will remain motivated enough to carry on with their 5G experiments. Already, margins are getting reduced – thanks to the presence of many relatively new startups – and if prospective returns from 5G do not seem ‘adequate’, things could hit a roadblock. 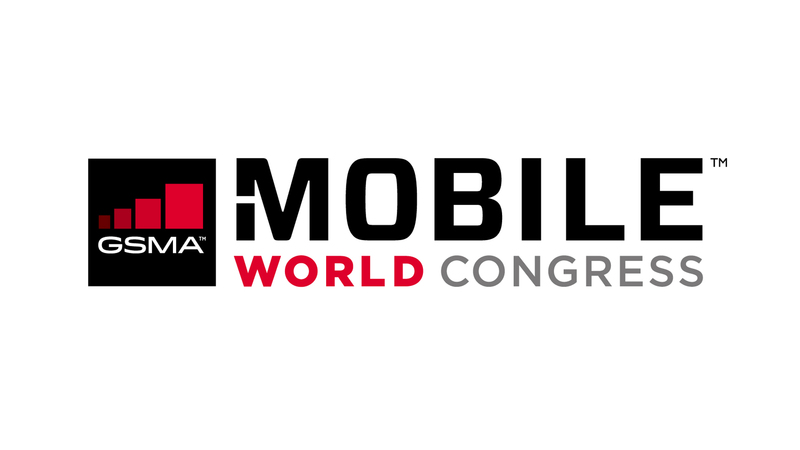 During the MWC event, a noted technologist also expressed concerns about the 5G hype mostly being an ‘irrational exuberance’ – something similar to the 90s ‘dot-com bubble’. It will be fascinating to see whether the interest in 5G continues to sizzle, or if things fizzle out. Whether the buzz about 5G sustains or not, everyone seems to be mighty excited for the technology at present. Verizon has entered into a ‘5G Open Trial Specification Alliance’ with NTT Docomo and SK Telecom – to start field trials of the network later in 2017. Nokia is involved in two collaborations – the first with Samsung and KT, and the other with KDDI, for working on 5G. AT&T has entered into a partnership with Ericsson and Intel for the start of 5G tests. Interestingly, Ericsson is already involved in 20+ agreements for the development of 5G services – and is reportedly collaborating with Unicom for next-gen IoT and cloud-based solutions. So, what is the ‘definition’ of 5G? Unfortunately, there are no standard official definitions of 5G yet. Software and app developers expect the network to be rolled out commercially at the turn of this decade – and standard information about it should become gradually available over the next few quarters. The precise specifications of the 5G network will be proposed by 3GPP and released by the ITU (International Telecommunications Union). The sheer anticipation and expectations about 5G is remarkable, considering that its commercial release is more than a couple of years away. There was a time when smartphones with 2G/3G network coverage more than sufficed the needs of users. The scenario changed with more and more big data coming into existence, and ever-increasing demands for higher (read: lightning-fast) network speeds. While 4G has been fairly good (although adoption rates vary from 96% in South Korea to a measly 40% in Sri Lanka), the 5G network will be really pushing the envelope in this regard. Let’s just say, when 5G comes…it will be a game-changer!